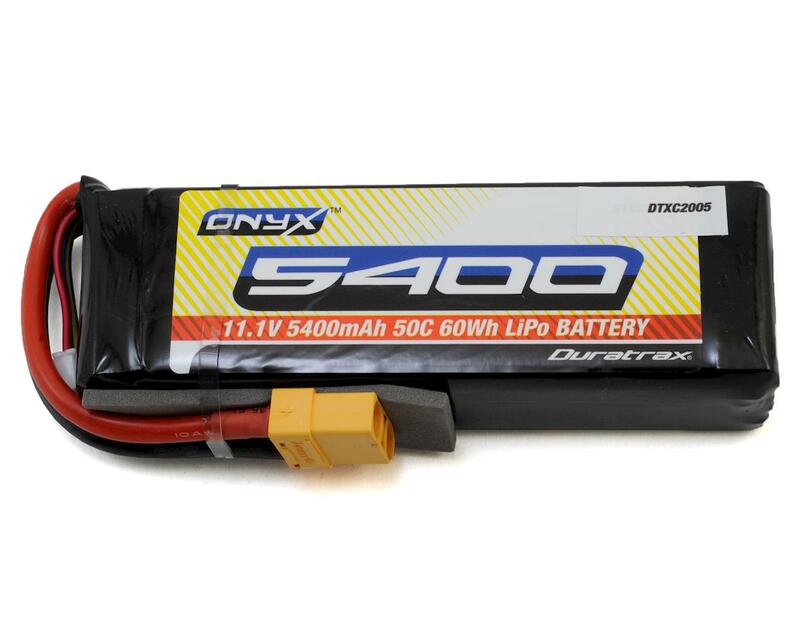 This is the DuraTrax Onyx 3S 50C Soft Case LiPo Battery with 5400mAh capacity. 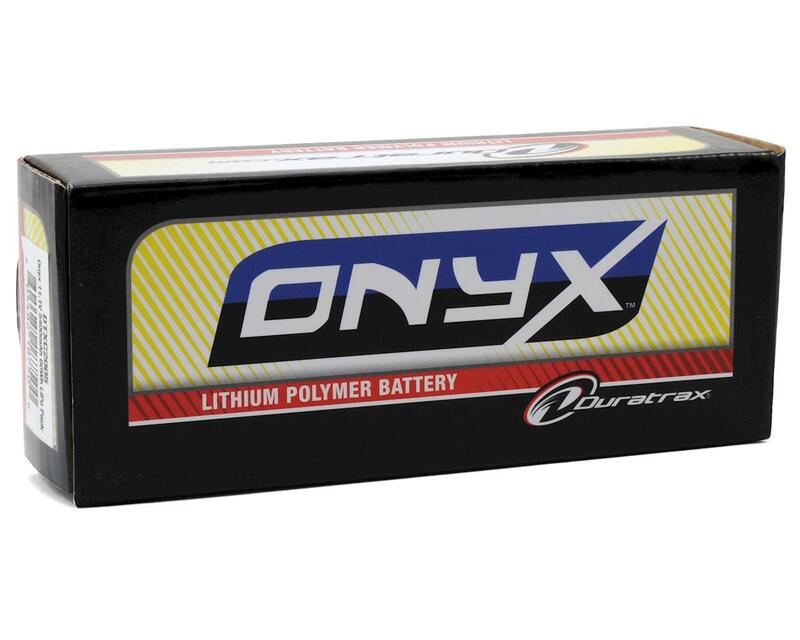 For anyone who wants more run time and performance, there's no better time to move up to LiPo power. They're great buys for racing, sport, RTR upgrades and more. But they're great for more than just affordability; they also offer you a huge range of application options: 25C and 35C discharge rates, a wide range of capacities, soft cases, ABS hard cases and various connectors. All include built-in discharge lead and balance connector. I love these batteries, they fit perfectly in my Outcast and Nero, and they will squeeze into an Erevo! I've had mine for about 7 months now and they've held up really well. The cover is awesome too because these have not gotten any sand or dirt stuck inside them!